While we have reviewed some of the important ills afflicting our modern way of life, there are many other abuses. We have mentioned coffee, tea and the cola beverages, but cocoa, which is so often given children, is exactly as dangerous and harmful for the system. Patent medicines are too numerous to mention. Every year sees more and more of them thrown upon the open market where everyone who has the price can buy them. It was the dangers of these medicines that, more than anything else, led to the passing of the Food and Drugs Act of 1938. This Act empowered local authorities to purchase a sample of any drug (or food) and have it analyzed by a public analyst. The English public is also afforded a certain measure of protection by the Dangerous Drugs Act, which lays down strict regulations for the prescribing and dispensing of certain drugs by doctors and chemists. Limited though its powers are, this government legislation has done a good deal to protect us from some of the most harmful concoctions. Nevertheless, they are still being manufactured and their sale is enormous. The gullible public rushes to take the latest pill — that is, until a still more miraculous one is put on the market. Sometimes people have to be shocked into facing facts and doing something about them. Statistics, or the art of proving the truth of a fact by citing figures, was at one time capable of stirring people to think about facts. But our modern world has become filled with statistics, with mathematical formulae for everything from atomic science to human happiness. The national budget, industrial and agricultural production figures, scientific data are presented in indigestible strings of figures, a number followed by a string of almost endless noughts. Our heads whirl and we cease to attach much meaning to them. Dr. Powell realized this and decided to use a more dramatic method to impress upon people the fact that disease is not merely a matter of bacteria. He publicly swallowed a vial of disease-carrying bacteria. Yet he did not become infected. Similarly, for a world that has ignored a simple statement of facts about the danger of cooking with aluminium utensils, a farmer’s wife provided the dramatic presentation. She filled two pots, one of aluminium and the other of porcelain, with equal quantities of water. The water was boiled for thirty minutes and then permitted to cool. Goldfish were then placed in both pots of water. In five hours the fish in the aluminium pot were dead! This experiment was repeated many times, but the result was always the same. Sometimes death came to the fish in the aluminium pot in five or six hours, sometimes in that many days. The other fish, however, lived out their normal span of time. 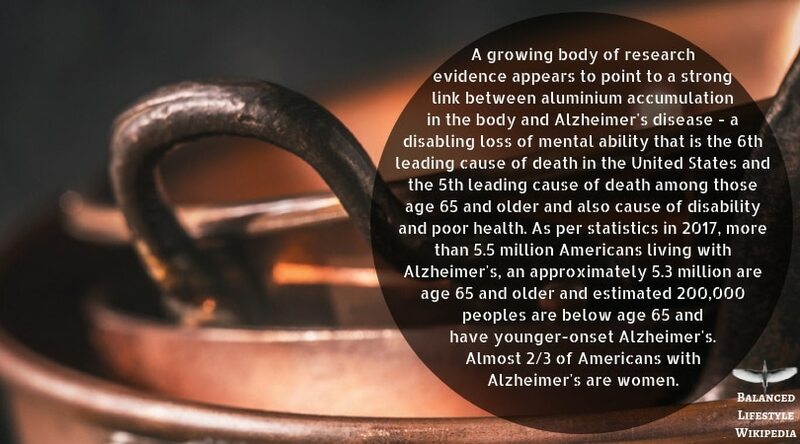 More formal research has been made on the effect of aluminium on the human body. Aluminium has by-products that are extremely dangerous. One of these is alum, which acts as an irritant, particularly on the stomach. 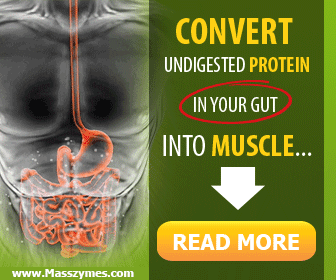 This in turn causes disturbances of the digestion and eliminative functions of the body. Aluminium acetate, another by-product, is a standard embalming fluid. And yet, the investigators pointed out, aluminium acetate is precisely what is manufactured when vinegar is placed in an aluminium pot. The combination of aluminium acetate and aluminium chloride, which is easily formed by adding salt to the vinegar in an aluminium utensil, is a deadly disinfectant. When we cook in aluminium pots, a considerable amount enters directly into our blood stream and is carried to all the organs of our body. The poisonous effects pile up day after day as we eat more and more food prepared in this way. 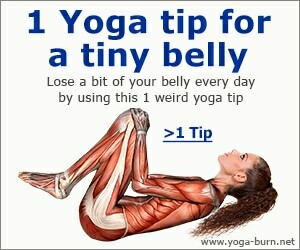 While each day’s amount may be small, the total can be extremely dangerous to the health. It is believed that one of the first organs it attacks is the reproductive glands. The cells of these organs are particularly susceptible to any poisonous substance. The reproductive glands, however, are but one of a chain of glands which control most of our bodily functions. Thus, we have a chain effect on the stomach, the rate at which we convert food into energy, our nervous system, our blood stream and eventually our heart. Dr. Arthur Coca tells of a patient whose pulse rate jumped from 7 2 to 92 in a short period of time. The condition did not respond to treatment until aluminium utensils were forbidden. This experiment brought similar results in five other cases. Cooking in pots and pans made of this material is not the only danger. It is common for a housewife to drop tarnished silverware into an aluminium pot filled with a salt solution. If any other type of pot is used, the tarnish will not be removed. If aluminium combined with salt does this, you can imagine what vegetables cooked with salt in aluminium pot will do to your stomach. Much research remains to be done on the effect of aluminium on food values. We know, for example, that copper destroys Vitamin C. Is the same true of aluminium? This, however, is not too important except as additional evidence. We know enough about this metal to reject its use. This will cause no hardship, for there are many other materials that are perfectly safe to use. Glass, porcelain and cast iron make excellent cooking utensils, but, best of all, there are the inexpensive earthenware utensils. They were the first of all cooking utensils known to man and certainly come the closest to natural choking. We must not think, however, that everything that was used in the early days is automatically good for us. In this connexion, there is a story which illustrates the point very well. Tom is a farmer in southern California. His grandparents travelled the dusty trail from New England to California, taking with them all the things which were in their eastern home. In his modern ranch house, there is a mingling of the new and the old. The old family coffee grinder stands close to the new porcelain electric range. Beside a row of stainless steel canisters is an antique mahogany pepper mill. Too many of us, having learned the value of natural living, that nature’s ways are unchanging through eternity, have applied that wisdom to our lives in a totally mistaken way. The fundamental forces of life remain the same, but our environment changes. From the beginning of time, men have striven for a life of greater ease and physical benefits. This search for material welfare and more leisure in which to enjoy the fruits of our labour is a natural one so long as it does not lead us to neglect the basic need of good relationships with those around us. It need not lead us away from close contact with nature. To fight against change merely for the sake of preserving all that has gone before is as foolish as it is to fight for change merely for the sake of change. Tom’s philosophy is a good one. Retain from the past those things which have bettered man’s existence and reject those which have proved useless or even harmful. Thus, we find that some of the herbal teas which our grandparents used are still helpful today, but we know that the health charms which they wore about their necks to ward off disease were useless. We reject their errors and retain their wisdom. We must learn one more thing, though, if we are to live intelligently. We must reject the errors of our own day and time. There are, each day, new forms of drugs, processed foods and health fads placed upon the market for a gullible public. People think they are new and untried and rush to experiment with them. Actually, they are not new, but simply new forms of the same mistaken “remedies”. Only the packaging and the claims are different. What is the test? How can we decide the merits of any new idea or product? The test is simple and can be applied to all things. Does this new thing bring you closer to or farther away from natural existence? If an electric shaver eliminates the abrasions, rashes and cuts caused by steel blades, then it is a progressive instrument. The fact that this shaver is a complex device of wheels and wires that could only have been evolved after thousands of years of human intelligence had been working towards this kind of mechanical goal does not mean that its effect is unnatural. On the other hand, coffee is a natural product, but the effect of drinking this brew is an unnatural and poisonous one. Here a natural product causes an unnatural effect. So do many other products growing freely in a natural state. Poisonous berries are found along every roadside, but we would not think of eating them simply because they were “natural”. Intelligence and moderation are the key words. Some people claim that the motor-car is an unnatural means of locomotion, that the idea of travelling ten or more times the average walking speed of a human being is an unnatural concept. We must learn, as always, to distinguish the bad from the good. If a man uses his car constantly for unnecessary trips, if he rides down to the corner shop instead of taking a health-giving walk, then the motor-car is bad. But that same car can be used to take a family out into the country, to give them the opportunity to get dose to nature and all its benefits. Under those circumstances, we say that the motor-car is an instrument for good.